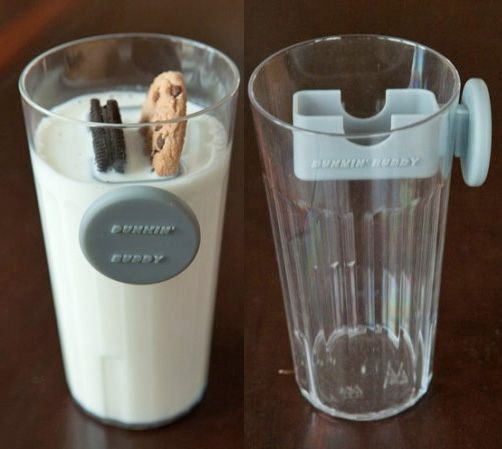 The Dunking Buddy lets you dunk your Oreo in milk from outside the glass. The NEW cookie dunking tool. The Dunking Buddy uses two encapsulated magnets, too allow the user to dunk their treat of choice into any beverage. Made of high-grade medical plastic, the Dunking Buddy is 100% safe to use and is top-rack dishwasher safe.